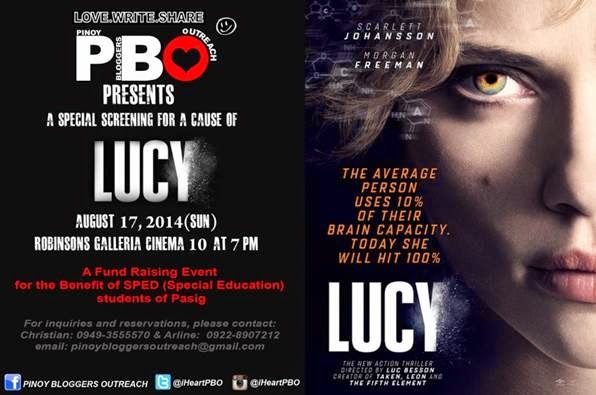 Pinoy Bloggers Outreach (PBO) is cordially inviting you to our fund-raising event on August 17, 2014, 7:00 PM at Robinson's Galleria Cinema 10. We will have a special movie screening of the movie "Lucy", starring Scarlett Johansson and Morgan Freeman. Each ticket costs Php 320. This event is for the benefit of Special Education (SPED) students of Pasig. Michy, you forgot to mention that Scarlett Johansson is my clone. Hahaha!